Sir Thomas Stamford Raffles, the British colonial administrator, is commonly regarded as the founder of modern-day Singapore. Yet, the history of this island nation stretches to well before the arrival of Stamford Raffles. Due to its strategic location, Singapore, which was known in an earlier period as Temasek, was claimed by various regional powers, such as Srivijaya, Majapahit and Siam. Literary accounts and artifacts uncovered during archaeological excavations provide support for the early history of Singapore. One of the most enigmatic artifacts that sheds light on Singapore’s early history is the so-called Singapore Stone. The Singapore Stone is a fragment of stone measuring 101 centimeters (40 inches) in height. Originally, this stone was part of a large sandstone slab that measured at 3 meters (10 feet) in height and 3 meters in width. On the face of the slab, 50 lines of inscription cover an area 2.1 meters (7 feet) wide and 1.5 meters (5 feet) high. 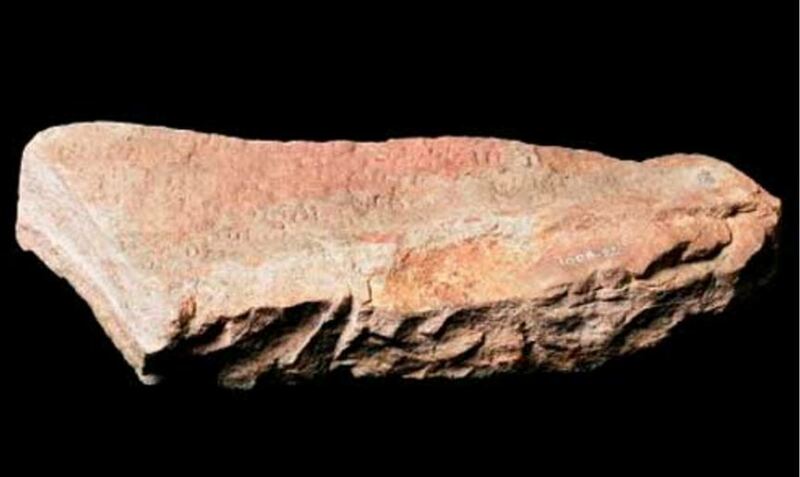 No one is entirely sure when the inscriptions were carved onto the stone, and this artifact has been variously dated to from the 10 th to the 14 th century. This stone once stood at the mouth of the Singapore River. Due to the mysterious nature of the stone, it has been associated with the local legend of Badang. According to the folklore of Singapore, Badang was an incredibly strong man. In the stories, he gained his superhuman strength by eating the vomit of a water demon whom he caught stealing his fish. News of Badang’s new-found strength spread quickly on the island, and he eventually became a hulubalang (warrior) of the king of Singapura. Soon, Badang’s fame also spread to neighboring countries, and champions were sent to test their strength against him. One of these champions was Wadi Bijaya, the strongest man in the court of the ruler of India. Wadi Bijaya sailed to Singapura, and challenged Badang to a competition of strength. In a series of matches that followed, Badang easily defeated Wadi Bijaya. The last of these tests was the throwing of a large rock. While Wadi Bijaya was only able to lift the rock up to his knees, Badang easily lifted it over his head and flung it to the mouth of the Singapore River, which was at a distance of 500 meters (1640 feet) from the spot where he stood. In June 1819, the sandstone slab from which the Singapore Stone originated was discovered by laborers clearing the jungle around the mouth of the Singapore River. The discovery of this unusual stone gave credence to the stories of Badang. Apart from curious locals, the slab also attracted the attention of European scholars. The Dutch Orientalist, Johan Kendrik Caspar Kern, for instance, conducted the first effectual study of the stone. Other scholars soon followed Kern in his attempt to decipher the script. Even Stamford Raffles, who himself took great interest in the history and civilization of the Malay Archipelago, tried to decipher the stone’s inscription. The inscription is potentially significant to the understanding of the island’s history, and so it is unfortunate that it remains undeciphered. In 1843, the British administration of the Straits Settlement of Singapore decided to clear and widen the passageway at the mouth of the Singapore River, as well as to prepare the grounds for the construction of Fort Fullerton and its living quarters. Therefore, by orders of the acting Settlement Engineer, Captain D. H. Stevenson, the giant slab was blown to bits. Lieutenant-Colonel James Low, who opposed the destruction of the slab, arrived shortly after the stone was blown up, and managed to save three fragments of the slab which contained inscriptions. Two were sent to the Royal Asiatic Society’s museum in Calcutta for analysis, where it arrived about five years later, while the last remaining fragment remained in Singapore, where it is today on permanent display in the National Museum of Singapore. Featured image: The Singapore Stone. Photo source: www.nationalmuseum.sg. Low, J., 2000. Inscription at Singapore. In: R. Rost, ed. Miscellaneous Papers Relating to Indo-China, Voume 1. Oxford: Routledge, pp. 222-223.